Wang Yang, the new chairman of CPPCC. He has been responsible for the poverty alleviation program at the State Council and knows very well the situation on the ground. In his recent trips to the US, he made assurances that China has no intention to challenge the American leadership. This is consistent with the focus that China has on domestic issues, such as bring absolute poverty down to zero and increase the income of its own citizens. Whats the difference between Chinese and Italian political system? For China, the leadership is chosen by the party, not by the people, and that makes China an ex-post democracy and results tell us that the system delivers on its promises. 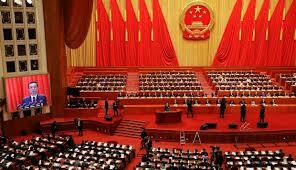 The CPPCC has an important role in Chinese politics as it provides a link between top leadership and the general public. Given the complexity and the high degree of interconnectivity of the Chinese economy, the consultative body needs to be composed by experts in the various field. Perhaps, we in Italy need to look at the way the CPPCC works and see if there are elements that can be introduced in our political analysis and decision process. Leaders in China have “worked” in the government or related entities for decades before they can reach the top and this somehow works as a screening mechanism so that only the best, on average, get to the top.